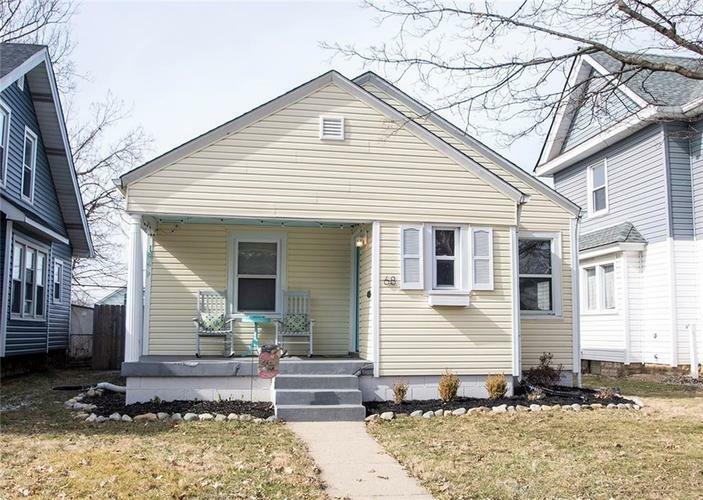 Welcome Home to this meticulously updated Beech Grove 2 Bed/1 bath Bungalow. The contemporary farmhouse inspired design is inviting and timeless. Updated kitchen w/ slate black appliances compliment the over sized tile flooring. Every room features updated lighting and custom window covers. The basement boasts a finished bonus room and abundant storage. Fenced in back yard adds additional privacy plus an over sized detached garage to park your car. Imagine relaxing on the covered front porch, enjoying your favorite beverage. The only thing missing is for you to call it HOME!